I am selling my practice and the buyer is insisting on having an NICEIC Electrical Installation Report. Do I need to provide one?practice and the buyer is insisting on having an NICEIC Electrical Installation Report. Do I need to provide one? Whilst it is not compulsory for an Electrical Installation Report to be carried out, it is a requirement that the owner of a commercial property/tenant is satisfied that the electrical wiring of the property is safe. 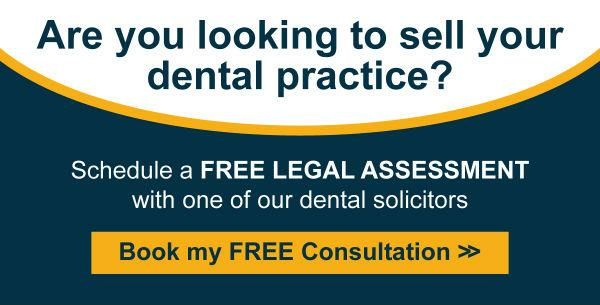 For commercial properties, such as a dental practice, it is best practice for routine checks to be carried out every 12 months and for inspections and the necessary tests to be carried out every 5 years, or upon a change of occupancy. If you have never carried out electrical testing, it would be reasonable for a buyer to insist on this being carried out at your expense, as they will not wish to take over a property that is unsafe and which could potentially be quite costly to rectify. Additionally, if your electrical installation report has now expired or you have not had the annual checks carried out, the buyer may wish for a new up to date report to be carried out. I am buying a practice and want to make sure I know what my outgoings will be after completion. What are the annual CQC registration fees? Your annual CQC fee is determined by either, how many dental chairs you have at your practice or if you have more than one practice, how many practices/locations you have.